Rachel Hankle, Jennifer Oakes and Kristen Sotakoun may have grown up differently, but they all shared the same experience: acting as princesses at Disney World. “It’s very cool; you take on something amazing,” Oakes said. According to these three women, being a Disney princess can be harder than people may think. All day auditions with hundreds of people, dance routines and several cuts all could make auditioners nervous, including Oakes, who had never danced before. “Maybe the dancing was for everyone else, not me,” Oakes said, reflecting on her feelings before her audition. During most Disney character auditions, there is also a script for auditioners to read to see how they portray a certain character, and there are even costume fittings of characters to make sure they can fit into the costumes. Once Hankle, Oakes and Sotakoun got the job, however, there was still much to be done before they could greet families. There was training, first with those who would portray “fur characters,” or characters that don’t talk or show their faces. “Face characters” had to be “fur characters” sometimes as well, and then each had to watch her own movie over and over to perfect their mannerisms. According to another former Snow White, princesses are paid anywhere between $13 and $16 an hour. 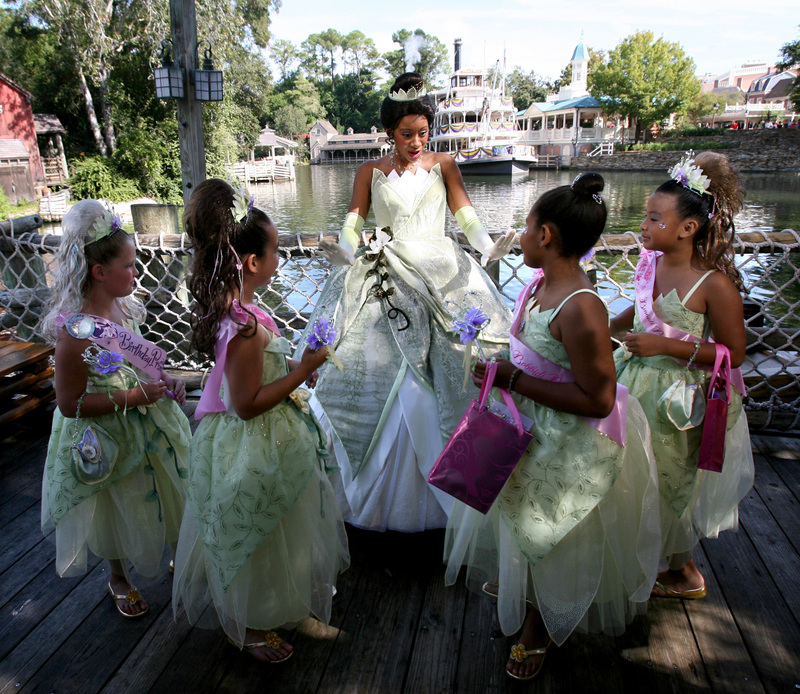 After training, the princesses work in less busy places like EPCOT or the Character Palooza at Hollywood Studios to work on their interactions before heading to the most visited Magic Kingdom. Hankle and Oakes, who were friends, enjoyed telling people to go see the other, especially at EPCOT. “Go tag Snow White for me; tell her I [Jasmine] said, “Hi!”” Oakes would say frequently as Jasmine in Morocco. Hankle and Oakes also confessed the burning Florida heat, heavy costume layers and childrens’ sticky hands were the not-so-magical moments. Some creepy dads also would hit on the princesses, especially Pocahontas, according to Sotakoun. While acting as Pocahontas, Sotakoun was told by an embarrassed boy that he had just visited her grave with his class, and she was also accused of being a liar while being the fairy Silvermist because she couldn’t fly. Some parents have even encouraged their children to hit, kick or somehow injure the characters, especially the fur characters, according to Hankle, Oakes and Sotakoun. There also were re-looks, which were held every few months with the purpose of making sure the characters’ silhouettes hadn’t changed or gotten too tan because the Europeans princesses are supposed to be fair-skinned. Characters like Snow White and Mulan cover up a lot a lot and therefore are forgiving of a little body shape change, but Jasmine revealed quite a bit, so Oakes had to stay on top of her frame. All in all, interacting with little children and seeing the delight on their faces was enough to make up for the crying, one-way conversations and accusatory marks, according to Hankle, Oakes and Sotakoun. “One thing that I’ll always take with me is when you’re hugging a child, always be the last to let go because you never know how long they need it,” Hankle said.